Scottish outfit Simple Minds, who were never far from the charts across the ’80s and ’90s with smash hits like ‘Promised You A Miracle’, ‘Let There Be Love’, ‘Glittering Prize’ and the inimitable ‘Don’t You (Forget About Me)’ will release their first album in five and a half years early next month. 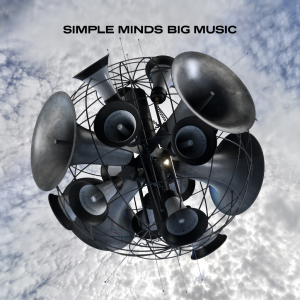 Their 16th studio album, it’s called ‘Big Music’ and it reveals what many in the industry are calling a return to form, with a collection of a dozen new songs in standard form, including the lead single ‘Honest Town’, which was inspired by the death of founding member Jim Kerr’s mother four years ago. Both ‘Honest Town’ and album opener ‘Blindfolded’ are already available on the iTunes store in Australia ahead of the album’s release on November 07.